Clive is leading on implementing our Creative Industries Strategy which was published in May 2016. Working with our Creative Industries team and also collaboratively with Scotland’s Creative Industries Partnership, we are seeking to grow sustainable creative businesses across Scotland. Clive’s role is also supported by the Scottish Funding Council, with whom we are developing a plan for Innovation Support for the Creative Industries. 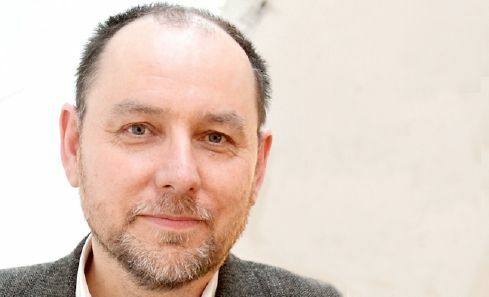 For 10 years prior to joining Creative Scotland in June 2015, Clive was the Director of Dundee Contemporary Arts (DCA), one of Scotland’s largest contemporary arts and media centre, delivering a critically acclaimed programme of visual art, cinema, research & production and education activity. Prior to moving to Dundee in 2005 he worked on the development of the FACT Centre building in Liverpool, a major new arts and media centre for the city. Trained as an artist, his own art works have included those exploring the possibilities of new media technologies in the public realm as well as published game projects. He is a Senior Honorary Research Fellow at the University of Dundee and an Honorary Fellow of the Royal Incorporation of Architects in Scotland.